Prayer of Agreement: Don’t You Agree, God? I would like to have everything in my life just so. Easy. Convenient. Smooth running. The best parking space just as I pull into the grocery store parking lot. Friends who are always there for me. A church that is always there for me. Finances that are always there for me. No stubborn weeds in the garden of my life. Don’t you agree God? I’m sure you do, Lord. After all, your Word says; “Again I say to you, that if two of you agree on earth about anything that they may ask, it shall be done for them by My Father who is in heaven. “(Matthew 18:19) So let’s grab a prayer partner. We will agree on everything we both want and watch our lives change like magic. The Prayer of Agreement in Matthew 18:19 is a wonderful one and it is widely popular in Christian circles but before we talk about what it is, let’s talk about what it is not. First off, it is not a formula. A formula says: if I do these three things in this order and in this way I’m going to have predictable results like a Pillsbury cake mix that rolls out of the oven the same way every time. The prayer of agreement is not a way to manipulate God into doing things OUR way. It is not a loophole in God’s Word so that WE are in control instead of HIM. I say these things because I’ve been around the block a few times. Various Christian teachings come in and go out of style and the misuse of this one has certainly had its heyday in my lifetime. While the truth of God’s Word remains the same for all time, it is our tendency as human beings to slant scriptures to our own purposes if we aren’t careful. I’ve misused this scripture myself with the best of ’em. I have also experienced the sorry results when my prayers of agreement met with failure: disappointment, discouragement, disbelief. These are pits it is no fun to dig out of so let’s not fall into them. Now that we have that out of the way, let’s look at the true power of this type of prayer. And make no mistake about it; agreeing together for God’s purposes on the earth is very powerful. When two or more believers in Jesus Christ knit their hearts into agreement with each other and with God for answers they have added a jumbo sized supernatural boost to their prayers. Think about the power and richness of harmony of a singing duet versus a soloist; a trio over a duet and a whole choir over a quartet. The reason for this heightened power is explained in the verse of scripture following Matthew 18:19. Verse 20 says; “For where two or three have gathered together in My name, there I am in their midst. “The presence of Jesus is the important part. It’s actually the critical detail that everything else hinges on. That’s what produces the answers to prayer that we are looking for. If we ask for his input. Suppose you are sitting in your living room with a fellow Christian getting ready to pray about some matter very important to you. Jesus walks into the room and you can both see him with your natural eyes. Would you just ignore him and agree together with each other for the outcome you want in the situation? I wouldn’t. I would check with Jesus and find out what he thinks is the best outcome and then pray in agreement with him. I have noticed in the New Testament that Jesus was always the center of everything no matter where he was. All activity seemed to revolve around him. Everyone was always asking him questions and saying “Look there, Lord” and “Come here, Lord.” If he was in the room with me I would defer to him. Of course he is in the room; he shows up when we gather in his name. That’s the promise he gives us in verse 20. But since we can’t see him with our natural eyes we often just skip the part about finding out what he wants and go right into agreement for whatever we want and then claim that this is going to come to pass based on our fulfillment of Matthew 18:19. Sometimes we shout to give it extra oomph. When Jesus was here on earth he was our perfect role model for the right way to pray. He said; “I tell you the truth, the Son can do nothing by himself; he can do only what he sees his Father doing, because whatever the Father does the Son also does. “(John 5:19) Jesus consulted his Father – that is – Almighty God. He only did what the Father said to do. Being fully God himself he could have skipped that part but since he didn’t, should we? We cannot go wrong if we use his example and find God’s direction before coming into agreement on a matter. Once we have God’s heart about our issue there is another scripture promise that kicks in which seals our success. “This is the confidence we have in approaching God: that if we ask anything according to his will, he hears us. And if we know that he hears us – whatever we ask – we know that we have what we asked of him.” (I John 5:14-15) The true power of the prayer of agreement is that we are in agreement with God. As we join with other believers, God partners with us to accomplish his purposes on the earth. Drop any ideas of using the prayer of agreement to simply arrange your life in the most convenient way or of forcing God to do things your way. On the other hand, don’t discard this kind of prayer and passively let life roll over you. 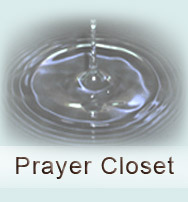 God gave us this method so that we would be successful in our prayer life. I say we should use the prayer of agreement often and well and most effectively. Don’t you agree, God? Afterword: I realize that I raised an issue in this article that I didn’t answer. If you are like me you are probably saying to yourself; well fine, I’d like to get God’s heart in the matter before I pray but how do I do that? How do I hear the voice of God so that I can pray in agreement with Him? That, of course, is a very big topic and even if I wrote a whole book about it, I probably would not adequately cover it all. For additional information, please see my article called Tuning in to God’s Frequency.